We introduce a mod focused on technology in Minecraft. 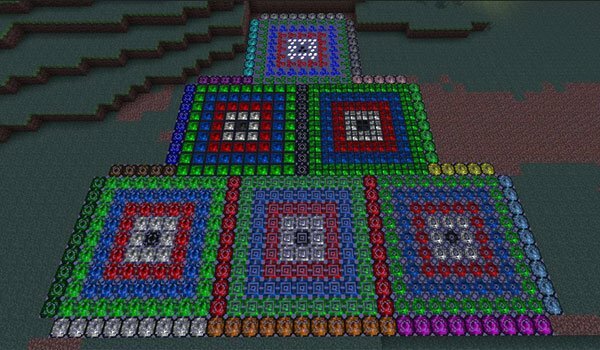 XyCraft 1.4.7 is a mod that, at first, adds new minerals, with which we can make new gems, bright decorative blocks, we can convert materials to develop both decorative and functional elements, to create certain machinery. With these new ores and gems can also create blocks shield to resist large explosions, even resist nukes of Industrial Craft 2. Although it adds more interesting blocks but difficult to explain in a few lines. Best you should experience that! We also find a new crop, which is maize, with which we can satisfy our hunger with cooked wheat or corn kernels introduced into the furnace to discover this mod and a good jar of popcorn. How to install XyCraft Mod for Minecraft 1.4.7? New blocks and decorative lighting equipment! when is this mod going to be updated or is it a lost cause?